The Raymond Report is a collection of current season data using each team’s situation and producing how that team and how every other team did in this exact situation. Therefore, you will have team trends and league systems backing up each record. Furthermore, the Raymond Report will give you the “PARITY VALUE INDEX” on what is the percentage of each team winning their next game. Plus, Ron included the points for and points against forecast on that game. 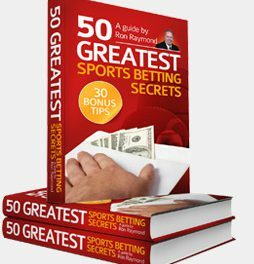 *Note: The Raymond Report is a fact sheet, where the public can observe the team’s chances of winning or covering the spread in their next game.